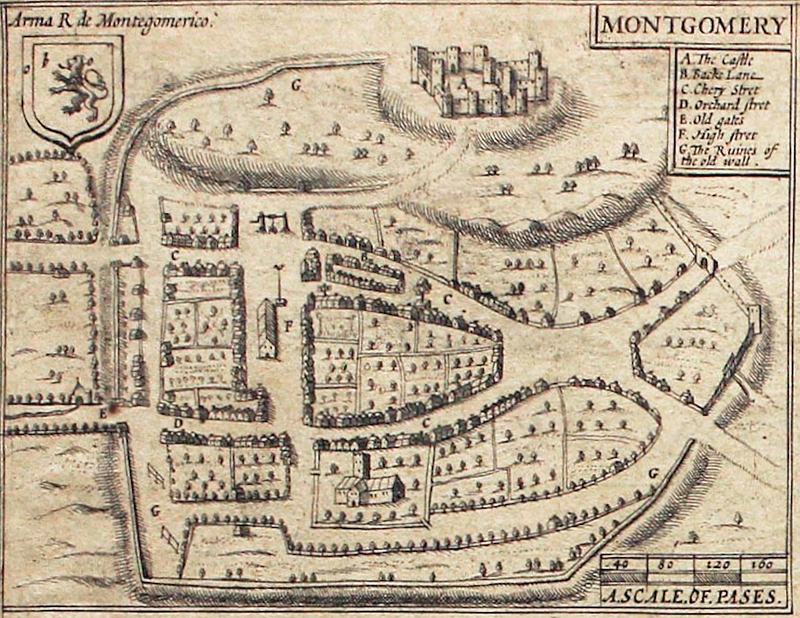 Montgomery Castle is today a mere ruin having been "slighted" or dismantled by order of Parliament issued in 1646. The Castle had been surrendered by Lord Herbert to the Parliamentarian forces under Sir Thomas Myddelton and Colonel Thomas Mytton in September 1644. Several days later Royalist forces arrived and commenced preparations for a siege. On 17 September 1644 Sir John Meldrum and Sir William Brereton arrived with Parliamentarian forces determined to break the siege. In the battle that followed 500 Royalists were killed and 1,500 were taken prisoner—including Sir Thomas Tyldesley 1612-1651. A Letter from Sir Wm. 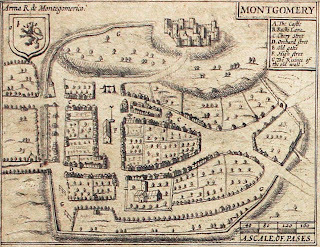 Brereton, from Montgomerie, of September 18, 1644; relating the great Success it has pleased God to give the Parliament's Forces under the Command of Sir J. Meldrum, upon relieving the Siege of Montgomerie Castle, wherein the Lord Herbert of Cherbery was besieged. Resolved, &c. That Serjeant Major General Tildesley, taken Prisoner at the Siege of Montgomery Castle, shall not be released, by way of Exchange, or otherwise, with out the Consent of this House: And Mr. Ashton is to take care to send down this Order.